The AlphaGateway IoT is the bridge between the HFC network and the growing field of Internet-of-Things (IoT) business opportunities. With LoRaWAN technology in the single-box solution, rapid deployment of IoT technologies becomes simple and scalable with minimal investment. The AlphaGateway IoT is an innovative enabler to manifest the IoT deployment vision, providing new services and revenue opportunities for network operators. 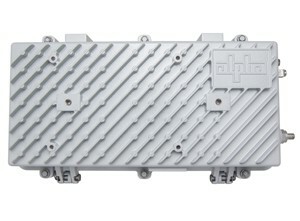 Combining power and backhaul with LoRaWAN (Low Power Wide Area Network) technology, the AlphaGateway IoT is the premiere single-box solution for delivering machine-to-machine (M2M) IoT data communications.